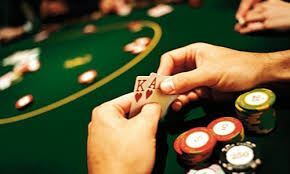 It has been a couple of years since our last VCL poker night, so we are very happy to announce that we have booked the Regent Pub in Islington for a poker event on Thursday 16 March. From 20.00 to 23.00, we'll be playing on two to three tables, each with their own dealer. This event will be open to both novices and experts. Novices will receive a 20 minute introduction to the game to get them up to speed. Tickets are £15 for members and £20 for non-members. On top of that, you should count on an initial inlay of £20 and more advanced players can add to that if they wish. Feel free to bring some friends to this event, but don't forget to register on our website.